Anyone who drives a motorcycle has undoubtedly been warned of the various dangers that are associated with them. After all, this is why so many states have made it mandatory for motorcyclists to wear helmets. Additionally, the reason this information is so well known has to do with how truly frightening the statistics on motorcycle accidents really are. Did you know that over 80 percent of motorcycle accidents end with at least one of the parties involved having serious injuries? 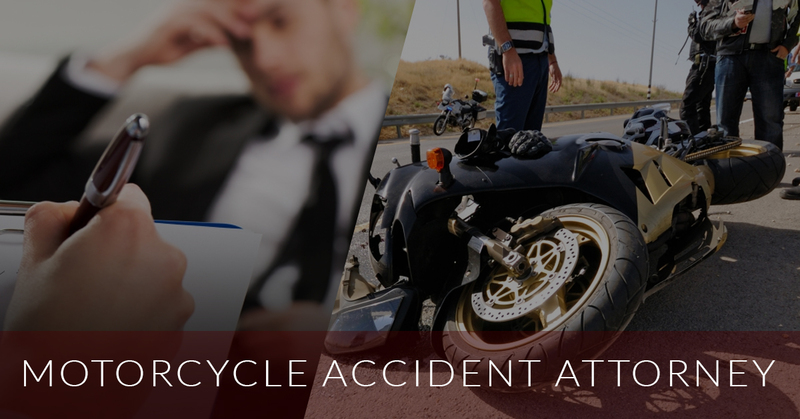 If you have been a victim of a motorcycle accident, you need to contact a local Beverly Hills personal injury attorney as soon as possible so that they can begin to build your case. Insurance companies are notorious for attempting to blame the motorcyclist first thing. We want to get you the compensation and the justice that you deserve. The majority of these injuries require that the injured person seek emergency medical attention, including an ambulance ride. This type of medical assistance does not come cheap and therefore, the victims of these accidents often find themselves in enormous debt once they are on the mend from their injuries. Additionally, as they recover, the victim most likely will not be able to work, making their personal financial situation even more worrisome. When you are involved in a motorcycle accident, you need to know what your rights are. This incident could change everything that you knew about your life to be true. We want to make sure that you can get back up on your feet and move forward even after the most serious of injuries. There is no better way to do this than to higher an experienced personal injury lawyer in Beverly Hills. Not only can we give you a better idea of whether or not your case has enough clout for us to move forward with it, but we will also fight passionately to get you the compensation that we think you deserve. If you want to know more, schedule your free consultation at MKP Lawn Firm today!